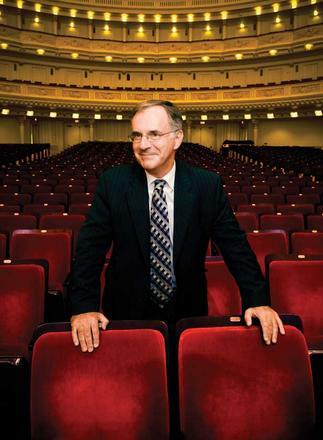 When Clive Gillinson, a cellist and Carnegie Hall’s executive and artistic director, arrived in the United States from London in 2005, he knew there was something he wanted to address. “I was always baffled that there wasn’t a national youth orchestra in the United States,” says Gillinson, former managing director of the London Symphony Orchestra, an alum of the National Youth Orchestra of Great Britain, and a longtime proponent of music education. “[National youth orchestras] are incredibly important in bringing together the most important young people in the country. When you bring people like that together, they all inspire each other. While there are numerous youth orchestras in the United States, a unifying, national youth orchestra existed only briefly in the 1940s. Because the United States operates mostly at a state level, forming and sustaining a national youth orchestra would be a huge undertaking. At the very least, it would require the efforts of a few passionate people with the right resources. Enter Carnegie Hall’s Weill Music Institute.